Save over 30% with App Bundles! Arithmetic, Animals, Geography, etc. Check out our variety of App Bundles! We participate in Apple's Discount Program for Schools! If you are purchasing 20 or more of each app, you can save 50%! Plus, it's much easier to update and install apps on all devices at once using this setup. Click Here to learn more! "I usually research for hours before downloading apps for my kids. I am glad I got it. It is a clean and simple app that does not have a 100 hidden games. So when my kids are at it, I know for sure they are doing something of value. I certainly recommend this and their other map/geography apps, if you mean for kids to really learn the real stuff, in a fun way." "This app is great! It is rare to find an app that matches up so well with many of the skills that we are teaching in the classroom. We use this app with our Kindergarten and 1st grade students. The kids love it! We use this in our math stations which require the kids to be able to work independently with meaning and this app fits the bill for us!" Mobile Montessori ® was created in 2009 by the Wickremasinghe family in Dearborn Heights, Michigan. Combining our experience in education, engineering, and design, we have since published over 80 educational apps for Apple devices that are currently used by schools and parents worldwide. All our apps are child-safe with no way for children to access outside web links or make a purchase without a parent or teacher being involved. Everything you see and hear in our iOS apps (and about a million things you can't) are done in-house. We sincerely thank you for your support of our app project and we promise to keep bringing you quality updates and new content to help supplement your child's education! From simple counting activities to learning arithmetic, you will appreciate the clean, academic design of our math apps. Even without "bells and whistles," parents have reported their children sitting down for over an hour with apps like the Hundred Board. With easy to understand menus and naturally intuitive activities, you may be surprised what young children can learn with the iPad! Our languages series of apps feature activities, such as, practicing the alphabet, vocabulary exercises, and building words & sentences. The Movable Alphabet apps function very similarly to the physical materials in the Montessori classroom, allowing for parent/teacher and child interaction. Pre-Language apps, such as Opposites and Rhyming are used by educators of children with forms of autism. Learn about the continents, countries, flags, capitals, and even, the animals of the world! 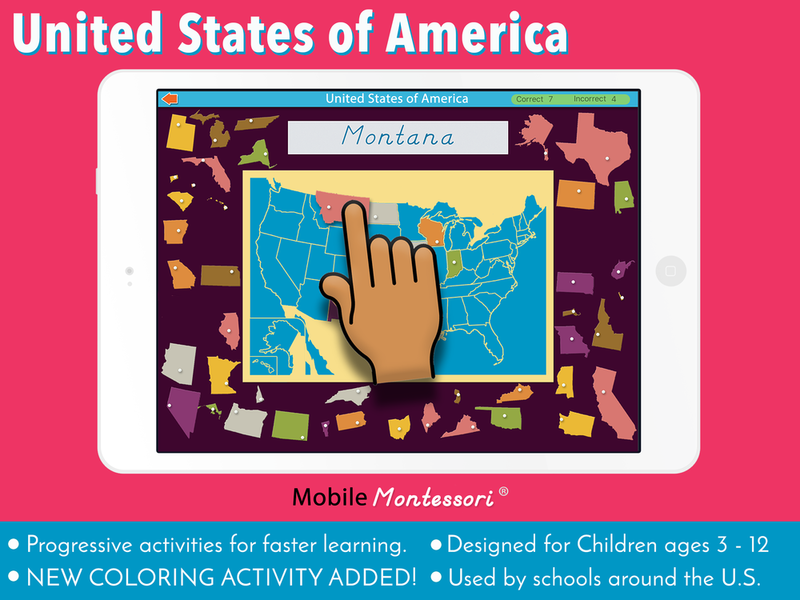 Our geography apps contain a unique sequence of activities, including learning activities and progressive puzzle maps that aid in memory retention. Even children who cannot read yet can learn the names and locations of the countries with the accompanying audio. Parents have reported children as young as 4 years old being able to identify all the countries of the world by using our apps for a short time! 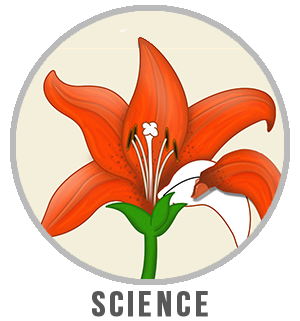 From the parts of a butterfly to the planets of our solar system, our science apps are designed for young children to explore the amazing variety of life on this planet and beyond. 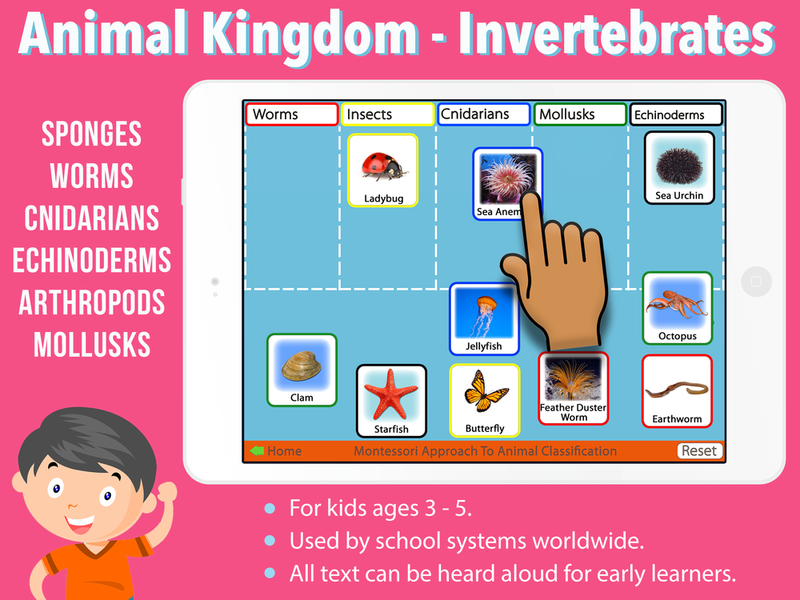 Schools are currently using all our animals and plants series of apps in their classrooms.